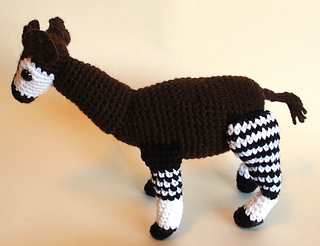 Okapis have been my favorite animal since I was little and inspired this pattern to be made. 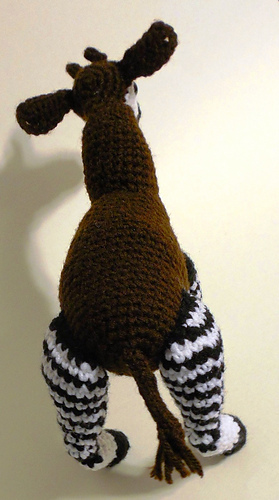 The horns and tail may be crocheted or knitted. 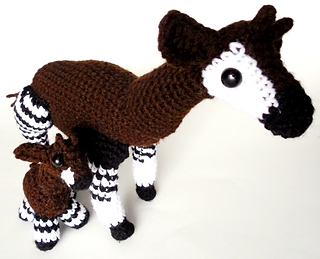 Both options are available in the pattern itself. 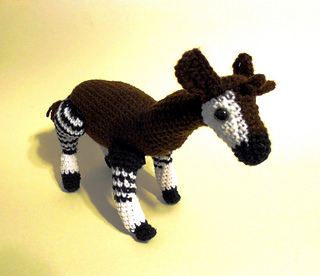 Children’s Books: I have no recommendations for children’s books with okapis in them. 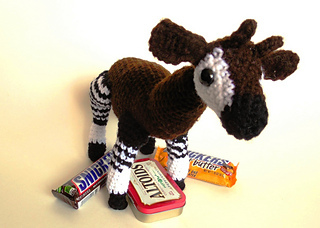 ~Optional: size 5 knitting needles for binding off. Alternatively the #4 needles can be used.